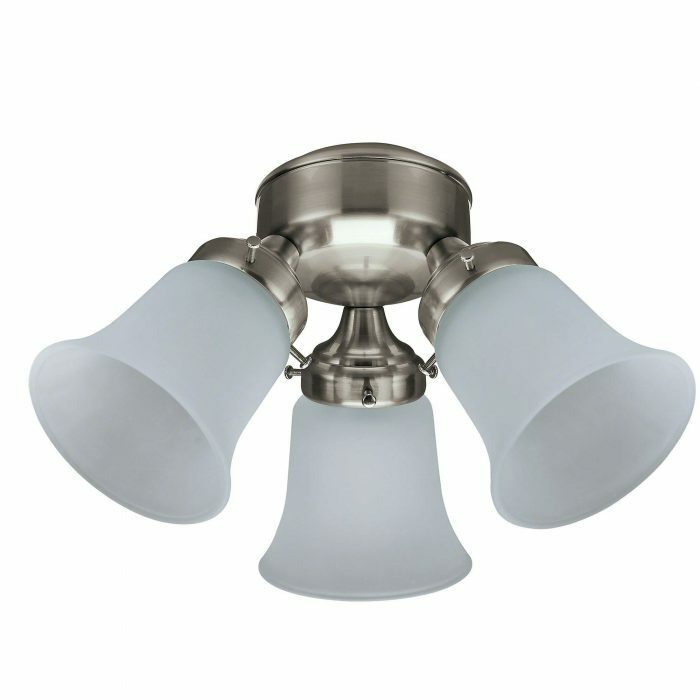 Hunter 3 Light Flush Mount that fits any Hunter fan classed as “light kit adaptable” including Seville, Low Profile, Savoy, Carera and Bayport fan models. This is one of Hunter’s new light kits. It can be retro fitted to any of the Hunter fans that is featured as “light kit adaptable” including the Bayport, Low Profile, Seville, Savoy and Carera ceiling fan models. 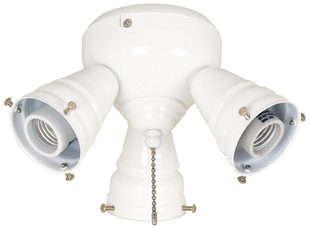 The light kit is operated by a pull chain that is on/off but is also remote or wall control adaptable. If a remote control is chosen then the light kit will be dimmable providing dimmable bulbs are used. 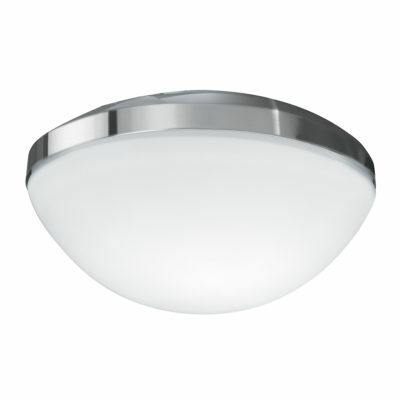 The Hunter 3 light flush mount fitter is suitable for the use of energy-saving lamps with an appropriate socket. The antique brass and bright brass finishes come with 3 clear glass tulips. The white, new bronze and brushed nickel come with frosted glass. It will require 3 x 60W standard E27 bulbs. Please contact the office if you have any compatibility questions. NB: Image is of frosted glass in brushed nickel.